Malice & Murder is a tale of friendship, loyalty and the determined quest for a murderer. In the performance of a heroic act, intelligence agent Steven Hunter is badly injured. He surfaces in a familiar childhood place in the presence of his lifelong friend, Charlotte, who was murdered five years previously. Charlotte's ghost asks for his help to find her murderer. Still stinging from the end of their affair and what he considered her betrayal, Steven wrestles with his conscience to help, especially when Charlotte reveals a hidden, illegal side of her life. Using Steven’s suggestion, the search for her murderer takes Charlotte on a revealing journey back to her former life, her childhood home and the place where she was murdered. Along the way she encounters a new associate, who assists in her search for the truth. When all is revealed, they witness an unimaginable and hitherto unknown form of justice inflicted upon the murderer. 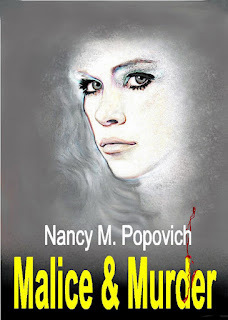 Malice & Murder came to be because I wanted to write something light to entertain my husband, who was battling a terminal disease at the time. He thought the premise was fun, but by the time it was written, chemo and potent drugs hampered his concentration and ability to read the story. As a result, he got a brief verbal synopsis. However, he loved the cover. The ending was re-written because like my beta reader, I like happy endings. My expert consultant in Great Britain’s penal system advised the maximum penalty for my murderous antagonist, but it wasn’t satisfying enough. I didn’t believe it would satisfy a reader either, so took advantage of the ability to set the rules in my imaginary world, and penned a more satisfactory conclusion to the story. Thanks for this post, it's delightful to be included on your site. 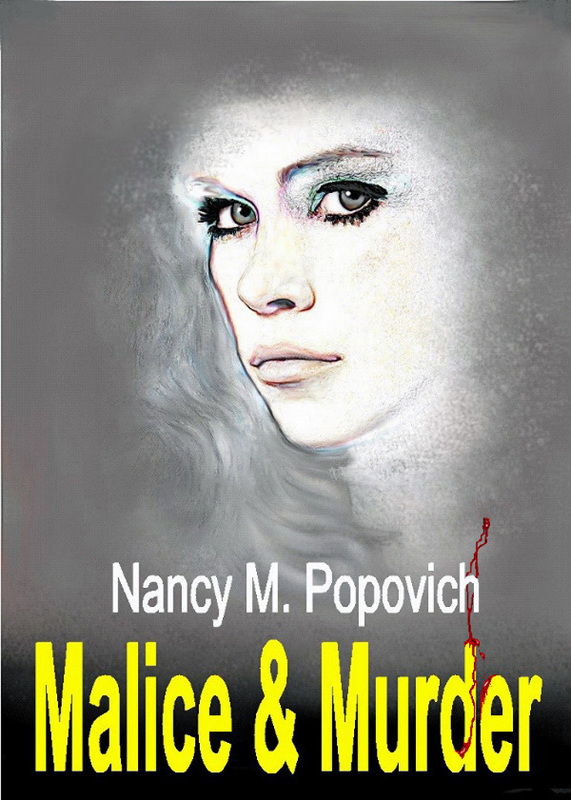 I enjoyed Malice and Murder very much Nancy. Well-written and exciting. Keep up the good work. I enjoyed it too and look forward to a developing love story between two ghosts. They were cute.